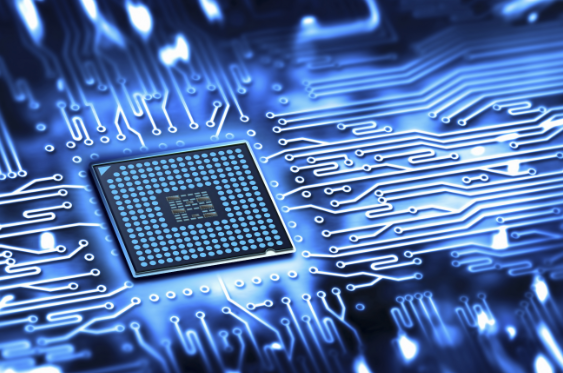 Exponential growth in semiconductor industry will drive the EDA Market by 2027 with a CAGR of 12.0%. The scope of the study "Electronic Design Automation (EDA) Market to 2027 by Type (CAE, SIP, IC Physical Design & Verification, and PCB & MCM) and Application (Aerospace & Defense, Consumer Electronics, Telecom, Automotive, Industrial, and Others) - Global Analysis and Forecast" involves in understanding the factors responsible for the growth of EDA market along with the estimates and forecasts of the revenue and market share analysis and als.. Vision Guided Robotics Software Market to 2027 by Robot Type (Mobile Robot, and Fixed Robot), Technology (2D Vision Guided, and 3D Vision Guided), Application (Arc Welding, Assembly, Cutting, Palletizing & Machine Tending, Navigation, Random Bin Picking, Collaborative Robots, and Others), and Vertical (Automotive, Electrical & Electronics, Aerospace, Healthcare, Transportation & Logistics, Food & Beverages, and Others)..
Transportation Management System (TMS) Market to 2025 by Component (Software and Solution & Service); Function (Large Enterprises and SMEs); Deployment Type (On-Premise and Cloud); and Industry Vertical (E-commerce, Healthcare, Retail, Industrial, Food & Beverage, Chemicals, and Automotive)..
Use of additive manufacturing in the aerospace and defense industries is at a rapid pace, majorly for the production of aircraft engines and related components. On the basis of industry verticals using additive manufacturing, aerospace and defense industries is considered as one of the largest factor responsible for the growth of additive manufacturing. The specific requirement by the industries for lightweight and high strength components along with precise designs makes additive manufacturing a perfect technology to be adopted. The active pre.. The "Cognitive Assessment Market to 2025 by Component (Solutions and Services); Application (Scientific Research, Clinical Trail, Academic Assessments, and Corporate Training and Recruitment); and End-user (Education, Healthcare, Enterprise, Sports, Government, and Defense) - Global Analysis and Forecast".. The "E-commerce Payment Market to 2025- by Type (Credit Card, Debit Card, Digital Payment/E-Wallet, and Net Banking); and Industry (Fashion, Electronics & Media, Food & Personal Care, Furniture and Appliances, and Service Industry & Others) -Global Analysis and Forecast". The scope of study involves understanding on the factors responsible for this growth of e-commerce payment market along with the estimates and forecasts of the revenue and market share analysis and also spots the significant e-commerce payment players in the market and their k.. According to a new market research study titled 'Insulin Delivery Devices Market to 2025 - Global Analysis and Forecasts by Product and End User, the global insulin delivery devices market is expected to reach US$ 22,830.0 Mn in 2025 from US$ 11,869.0 Mn in 2017. The market is estimated to grow with a CAGR of 8.7% from 2018-2025. The report highlights the trends prevalent in the global insulin delivery devices market and the factors driving the market along with those that act as deterrents to its growth. The market is expected to grow due to t..
Our requirement was very specific and ReportsWeb team came up with the right solution. Very good experience working with ReportsWeb team. They truly understand our requirement and delivered a good quality report.